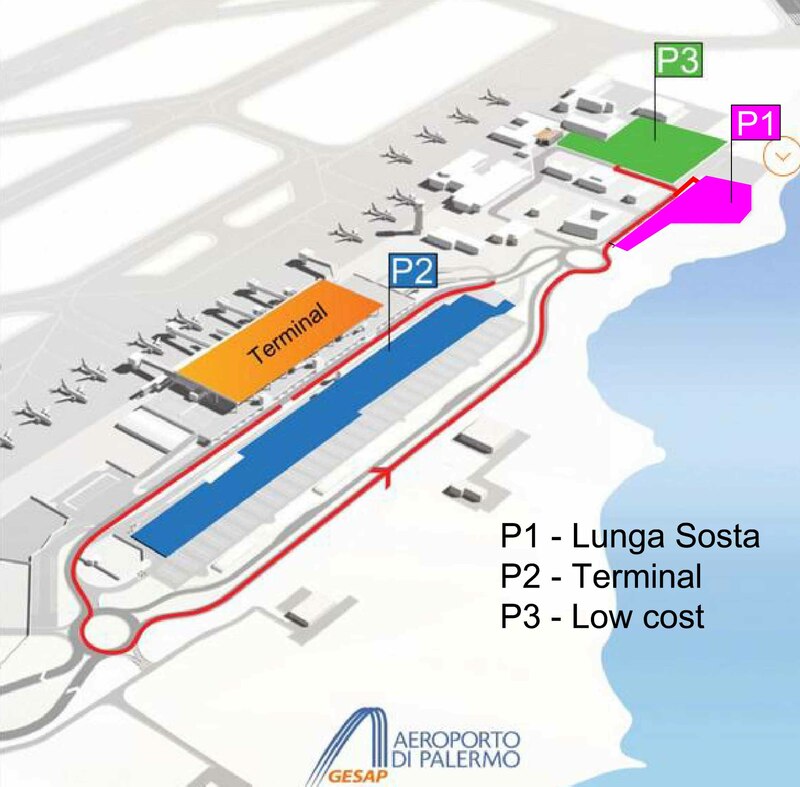 The Parking P1 is the cheapest one at the Airport: with 240 car stands, it’s 600 mt. far from the Terminal. There is a free shuttle bus connection between the Terminal and the parking, P1 and P3. Cash and Credit Cards accepted, payment can be made directly at the automatic cash machine. It is possible to exit within 30 minutes from the payment. 15 minutes free stop. It is the most convenient car park of the Palermo Airport. 770 parking spaces are located directly in front of the terminal connected by covered or uncovered footpaths. You can pay (cash, credit cards, debit cards) can be made at the cash machines located inside the terminal, in the Arrivals Hall exit, and inside the Car Park itself or at the 24H Car Valet payment point. After payment there is a time allowance of 15 minutes for exit the car park. 260 parking spaces, the new p3 car park is located at a distance of 700 mt. from the terminal, with a free shuttle bus service available. After payment there is a time allowance of 30 minutes for exit the car park. Cash machines are available in the p3 car park (cash and cards) as well as in the terminal. Mainly reserved for business customers. It entails picking up and dropping off the vehicle on a set day and at a set time with the option of booking a parking space. The car park area is attended, covered and protected with video-surveillance as well as being manned day and night by dedicated staff members. Additional services for your vehicle may be available upon request and at a separate rate. “Quick Membership Card” holders are entitled to special rates and benefits. The easiest and quickest way to pay is at the car park exit barrier (credit card only). (either in cash or by credit card) located at the Arrivals and inside the Car Park. (cash, debit card, credit card) located in the Car Valet area. The hourly rate will be recalculated for each additional subsequent day.